One of my favorite spring ski days of all time happened on a powder day at Snowmass—or, shall I say, it was a powder day at the top of Snowmass. The venerable ski area, which celebrates 50 years of operation in 2018, has an impressive 4,406 feet of vertical drop (the longest lift-served vert in the USA). If you happen to catch the weather just right, you could be smashing through the pow at the 12,510’ top and slashing through the slush at the base at 8,104’. It was crazy fun to drop down the mountain through a variety of conditions, then ride the lifts back up while the misty rain at the bottom hardened into a crystalline shell of ice on the ascent. The takeaway here is Snowmass is a big mountain—and one that is often overlooked by skiers looking for the perfect mountain getaway. 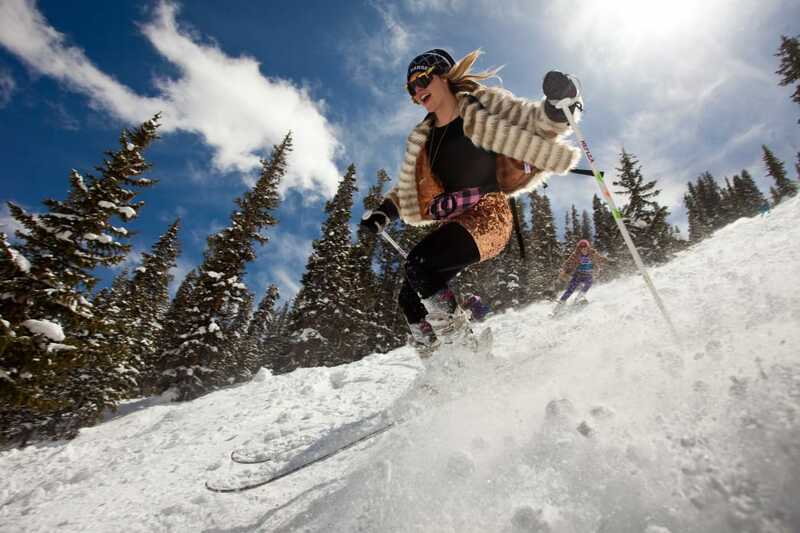 All levels of skiers and riders will dig the varied terrain at Snowmass. Nearby Aspen Mountain and Aspen Highlands ski areas may have more trendy reputations, but Snowmass is the quiet king of Aspen. 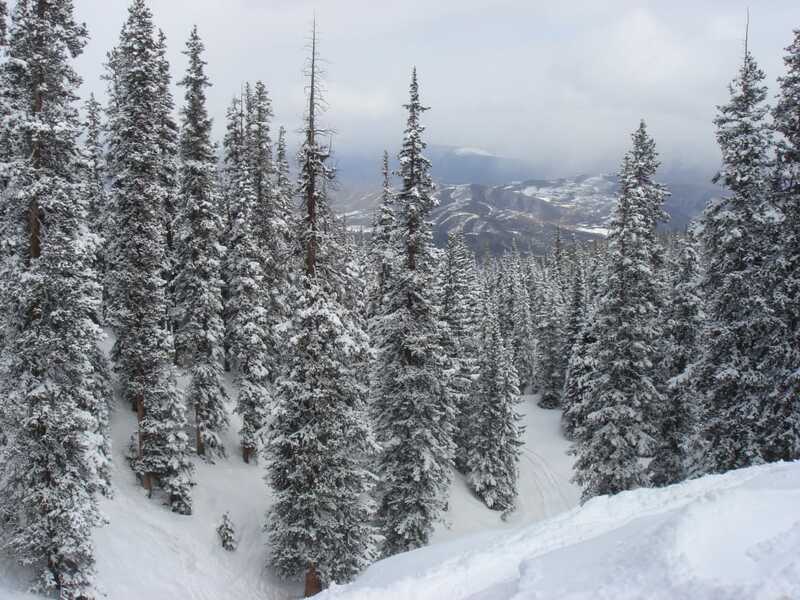 Boasting 3,128 skiable acres with wide-open terrain, terrific trees, bold bowls, and all-levels of runs, Snowmass comes in at 6% green, 47% blue, 17% black, and 30% expert. Lift lines are practically unheard of and many of the runs are so wide-open and long, you’ll often feel like you have the entire mountain to yourself. There may be no better cruiser than Longshot, a sustained 5.3-mile run that offers plenty of detours into trees, glades, bumps, and an array of natural features to play around on. Burnt Mountain offers a maze of blue and black rated runs in the trees and vast views of the foothills to the north. Extreme skiers and boarders can hoof it up to the Cirque Headwall and Hanging Valley for some bonafide double black terrain, including big, huckable cliffs, and tight gullies. Many skiers prefer a combo of cruisers, bumps, trees, and a few fun obstacles here and there—and Snowmass delivers. Big Burn, High Alpine, and Elk Camp lifts all service moderate terrain with some more challenging sections in the mix. And if that wasn’t enough, there are three terrain parks, including the iconic 22-foot Superpipe, for those who want to go big. And for beginners, don’t let the low number of green runs intimidate you; remember, this is a big mountain—there’s plenty of casual runs. Many of the blues are mellow and spacious, perfect for mastering your turns. 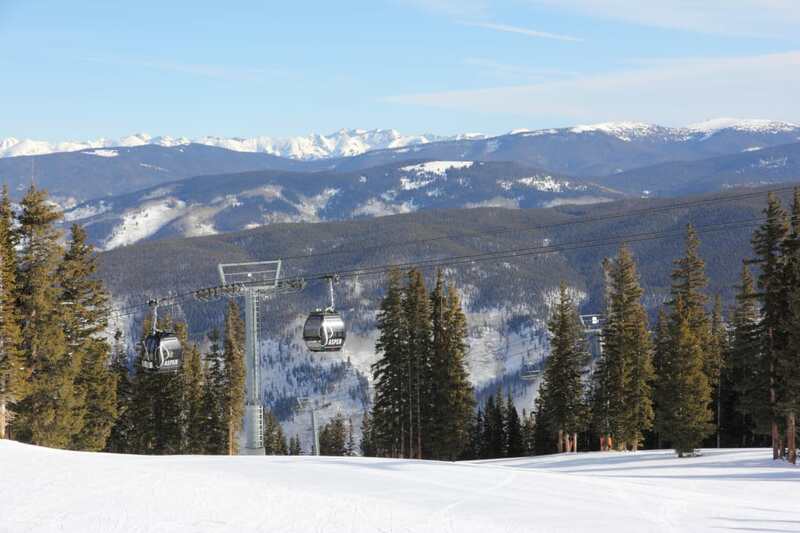 Enjoy incredible views of the Elk Range from Snowmass. Snowmass sits at the base of the Elk Range, an impressive, jagged, range of mountains that includes seven summits over 14,000’. 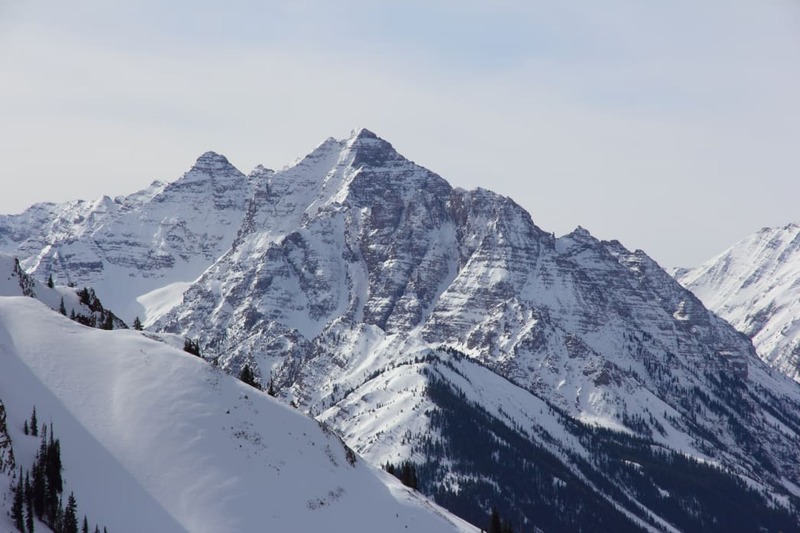 Many of the Elk Range peaks have horizontal bands of rock that fill with snow in the winter, making them especially photogenic from the high vistas of Snowmass. The higher you go, the more impressive the south-facing views of the Elks become. A quick sidenote: Snowmass ski resort isn’t actually located on 14,092’ Snowmass Mountain, but the tip of the namesake peak can be seen from the resort. You can also enjoy the scenery from any of the resort’s 8 on-mountain restaurants. Every Friday during ski season, Snowmass has Ullr Nights, a fun on-mountain event at Elk Camp with tubing, live music, and great food. There’s also the night time snowcat dinners at the Lynn Britt Cabin, an event that occurs throughout the year and has a family-friendly environment. One of the best features of Snowmass is how much ski-in / ski-out lodging is available on the peak (and even better, many lodging options are dog friendly!). The Crestwood is one such property, offering condo style lodging with one, two, and three bedroom options, perfect for any size crew. Uphill traffic is allowed on the mountain for those who want to get a workout and earn their turns. And there’s also a new alpine coaster, a zippy way to cruise over the terrain on an elevated track. Wide open runs with just enough trees to keep it interesting, that’s Snowmass. Snowmass is about a 4-hour drive from the Front Range cities of Denver / Boulder / Golden, so for Colorado natives it’s worth sticking around for a few days. The Aspen Snowmass website can help you arrange lodging, lift tickets, and see what events are around the corner. When you visit, get ready to spend a full day exploring the mountain—chances are you’ll only see a small portion of the available terrain, even if you ski from first to last lift. Or to put it another way: no other mountain in Colorado “feels” like Snowmass. It’s big, but has a hometown vibe. It boasts of excellent food and fun nightlife, but isn’t pretentious. And it’s far enough away from the city for feel like a real adventure, but close enough to enjoy over a long weekend. Snowmass really has something for everyone all set in one of the most beautiful mountainous areas in the Rocky Mountains.